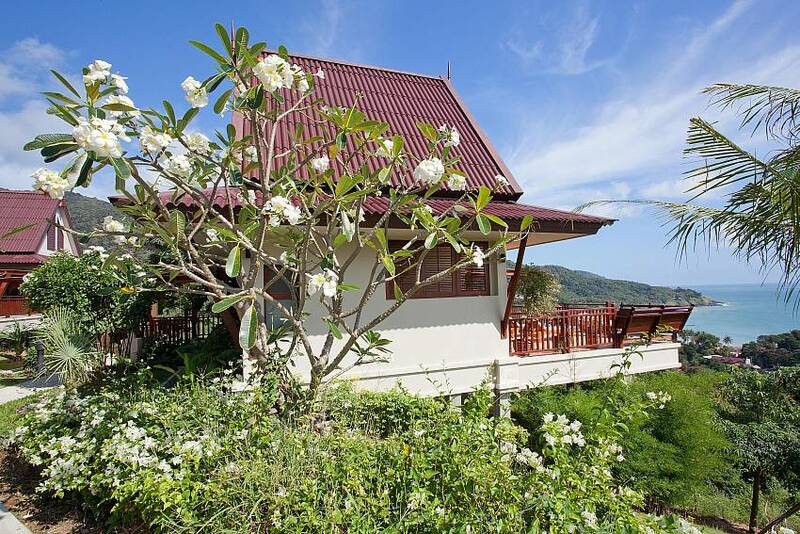 Charming Thai style, modern comforts and amazing views of the sea make Baan Ruang a truly spectacular tropical hideaway. 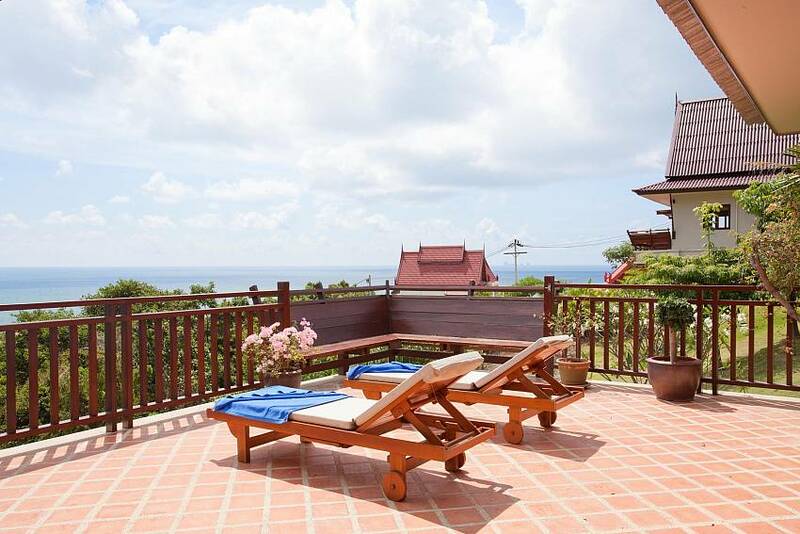 This two-bedroom villa is perched on a hill overlooking Ba Kantiang Bay and Koh Phi Phi in the distance. 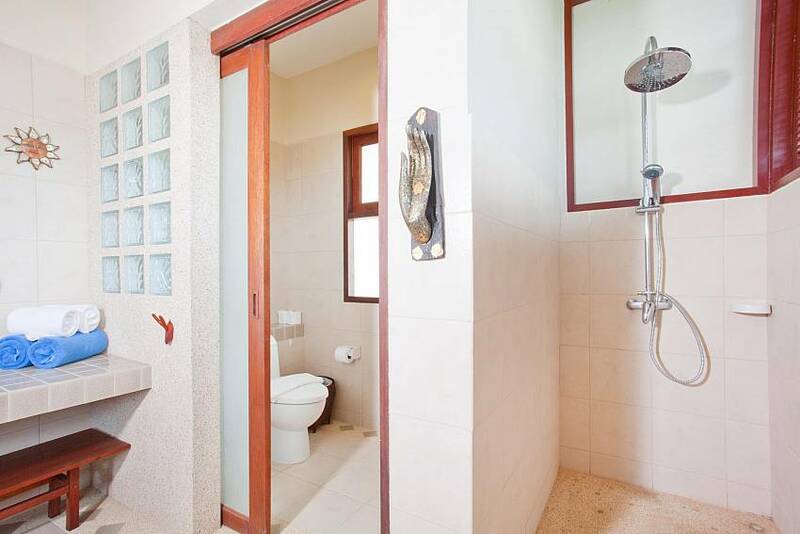 The villa has two bedroom, two bathrooms, spacious living and outdoor dining areas, a kitchen and usage of the communal swimming pool. 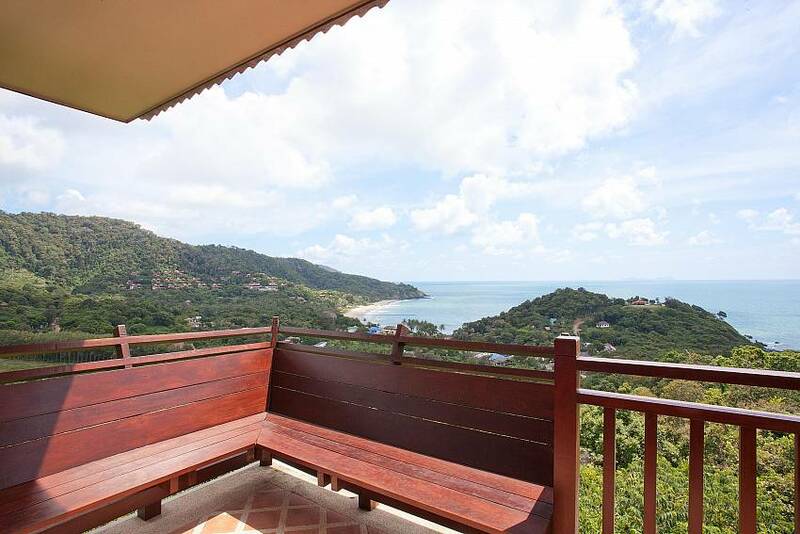 The sunsets are magical from this majestic perch where your meals are taken on the large terrace for maximum enjoyment. 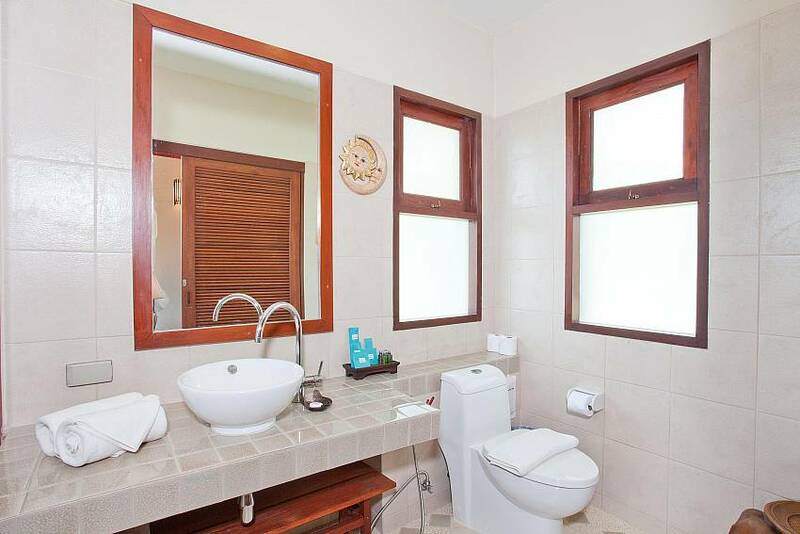 The beach just 600 meters away and you can also enjoy elevated sea-views from the communal pool and terrace area. 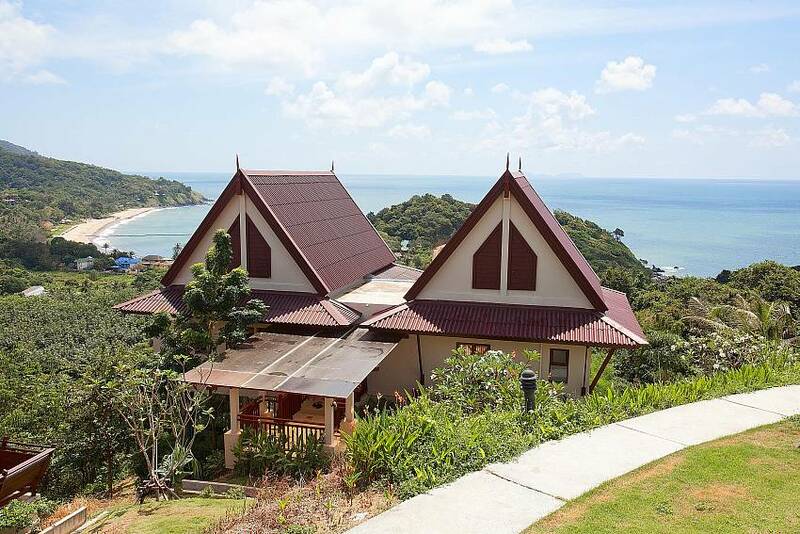 Click the link to view all Koh Lanta villas for rent. 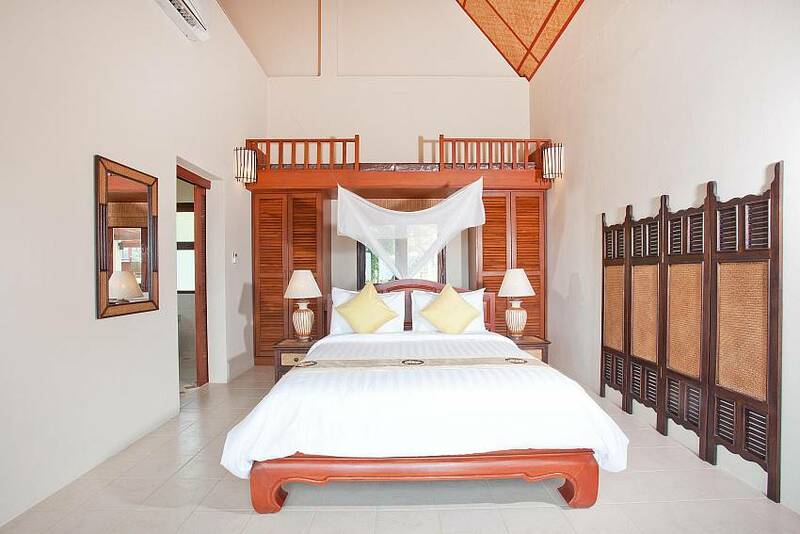 The villa’s two bedrooms are spacious and have queen size beds and en suite bathrooms. 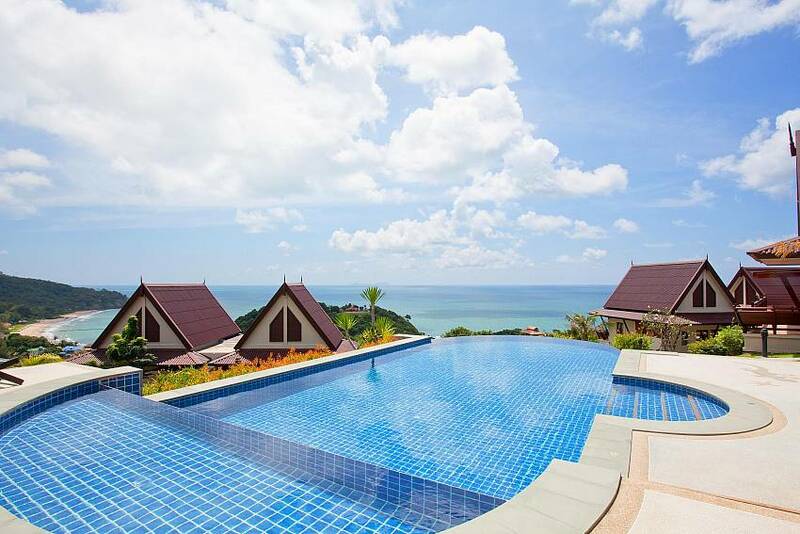 Both face the ocean and have marvellous views. 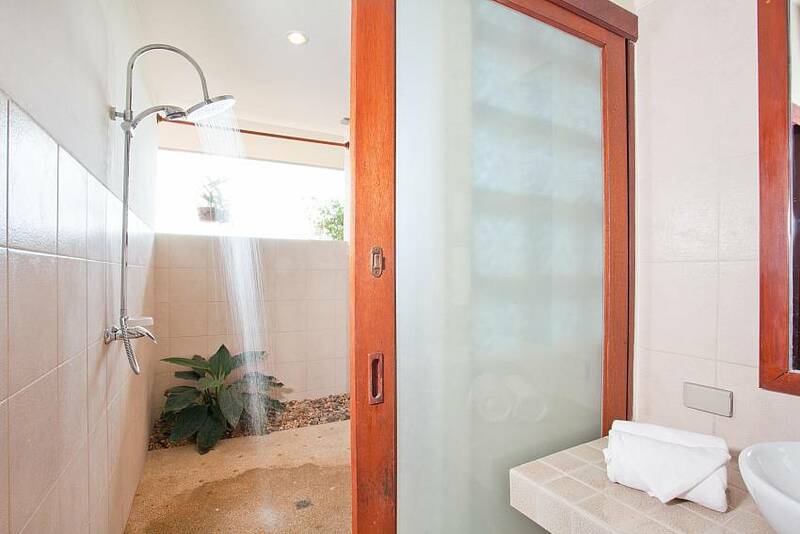 The villa’s two bathrooms are en suite and have open air showers. 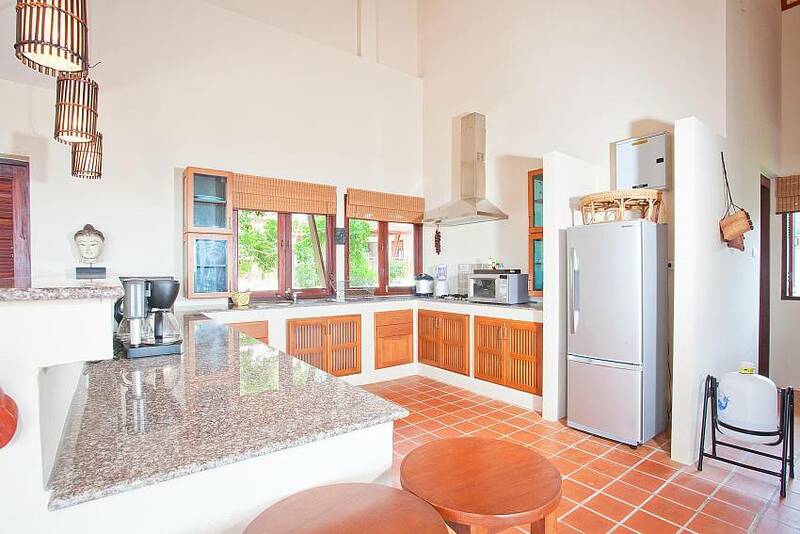 The modern kitchen is equipped with many appliances for easy self-catering, including refrigerator, gas hob, oven, juicer, coffee-maker, blender, and microwave. 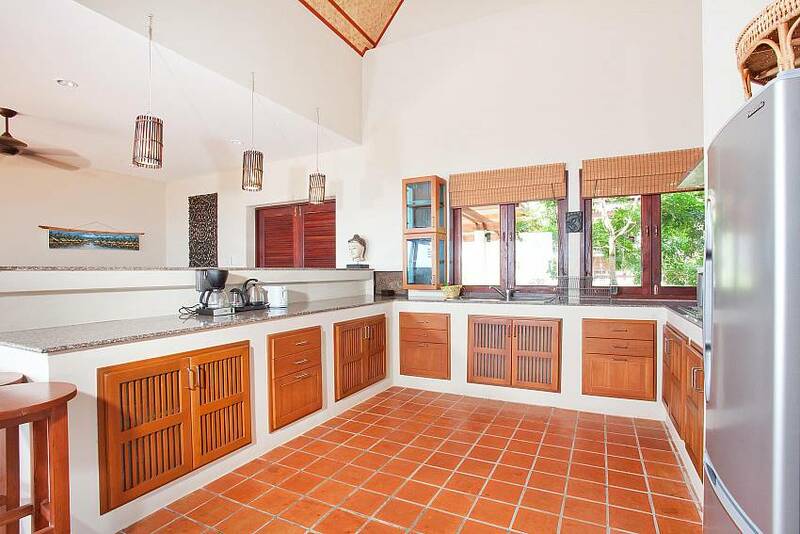 This room also enjoys garden and ocean views; cooking is rarely this much fun! 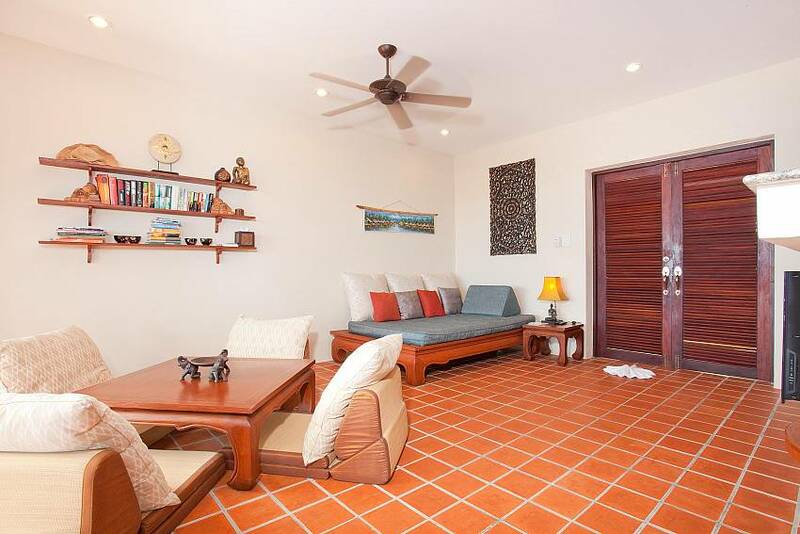 The living area is comfortably furnished and has a large TV with international channels and which is also connected to the Internet. 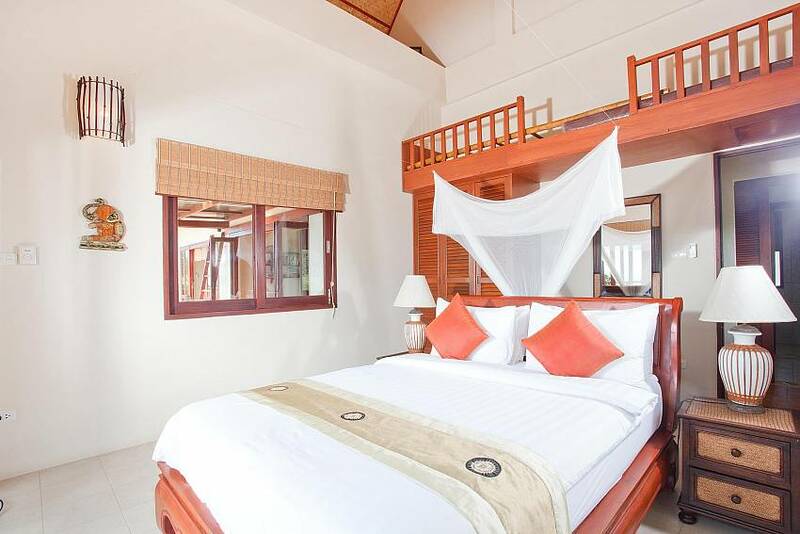 This room also has extra bed space so the villa can actually sleep six persons. 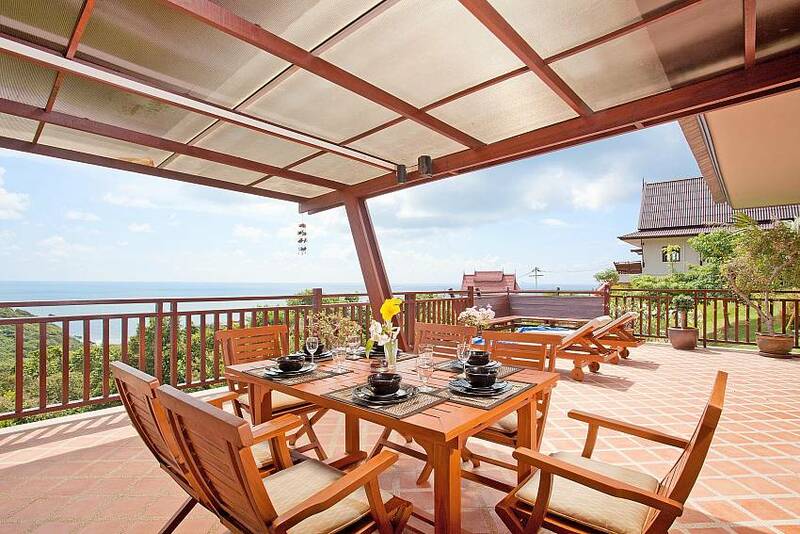 Dining is a total treat in the covered outdoor terrace with its spectacular views and sea breeze. There is a large table and chairs to seat eight persons.